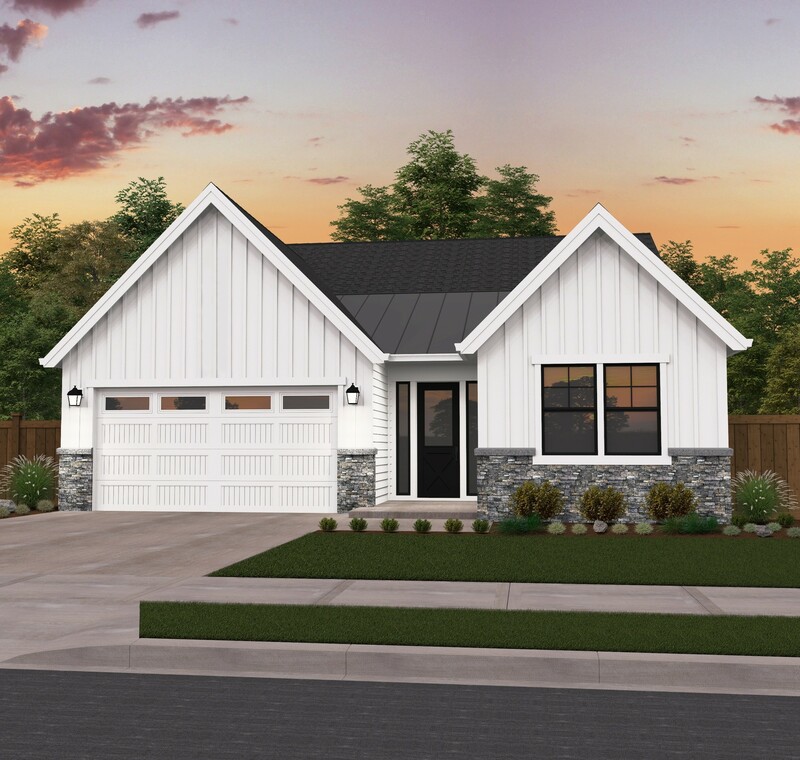 Mark Stewart Home Design is on the leading edge of the recent surge in Farmhouse style homes, and this One Story Craftsman Farmhouse is part of a brand new collection of these designs. The Farmhouse style is marked by rustic materials, comfortable and functional floor plans, and traditional exteriors and roof lines. 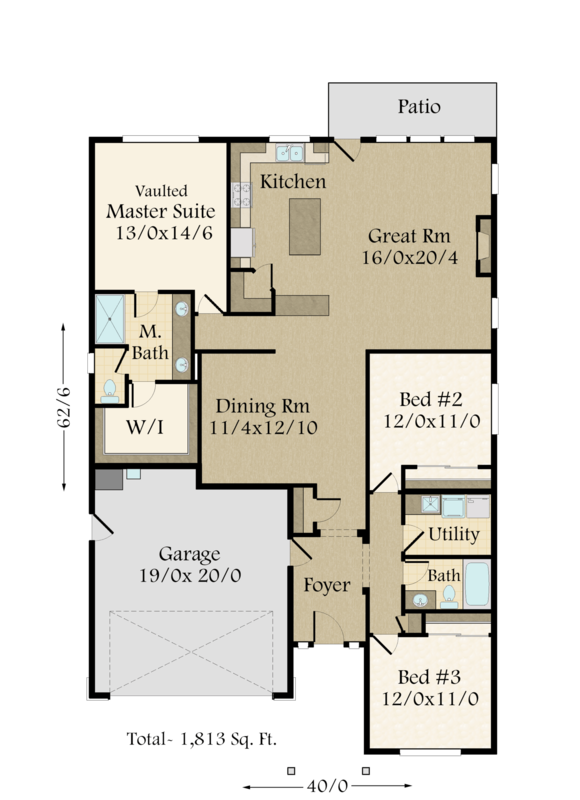 In this modern house plan the one car garage is included but could be easily converted to a two car garage. 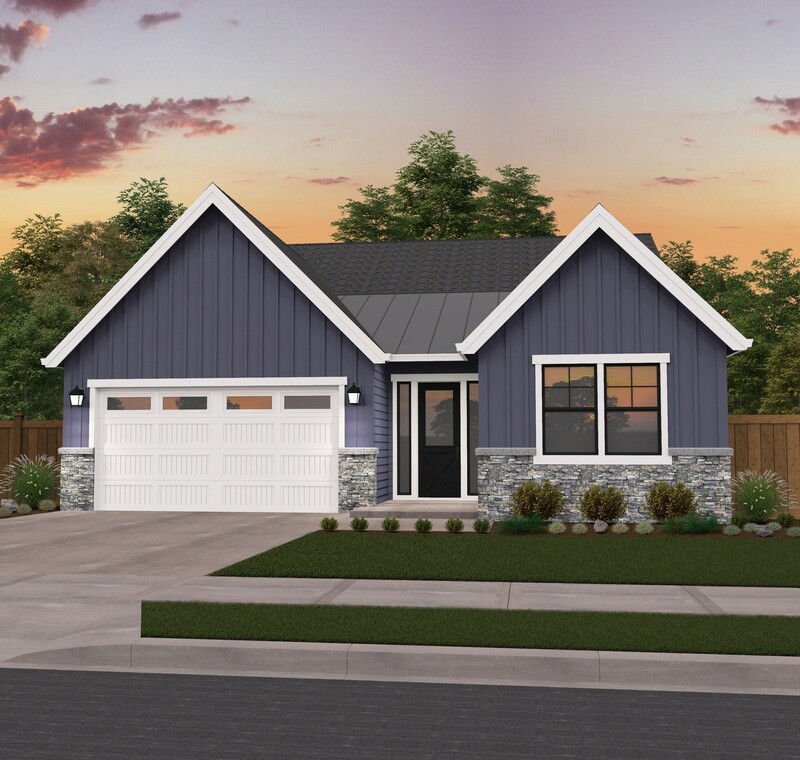 With the master suite at the rear of the home and the additional bedrooms at the front, this modern house plan manages to ensure privacy while retaining a small footprint. The large U-shaped kitchen keeps watch over the great room and dining room, perfect for those who love to entertain. The master suite is tucked behind the dining room, and has a vaulted ceiling, side by side sinks, private toilet, and walk-in closet.